If you have read this far then we assume you are interested in giving sports arbitrage a red-hot go. In this lesson we provide an overview of the steps involved in starting your own sports arbitrage experience. Please be aware that this overview is written for people entering the ‘real-money’ arbing stage, however it equally applies to paper-traders and gives a flavour of what can be expected from the experience. Please note that Sports Arbitrage Australia strongly recommends setting up, and transacting with bookmakers though, an eWallet account. It is possible to proceed without one, however complications can arise in the future if depositing/withdrawing directly from your bank account – read our lesson on eWallets for more information. Create an account with a reputable eWallet merchant, so that all deposits to and withdrawals from bookmakers flow through your eWallet. The main advantage of eWallets is expediency – withdrawals into eWallets are immediate; withdrawals into bank accounts can take up to 3 business days. 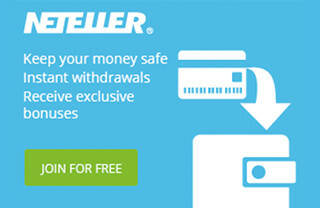 Skrill Moneybookers is the preferred eWallet for Sports Arbitrage Australia members for many reasons – read our lesson on eWallets for more information – although Neteller and some others may be acceptable if you already have one open. Deposit your available bankroll into your eWallet – the funds will take up to 3 business days to be available in your eWallet account. During this time you can complete some additional steps and begin/continue paper-trading to gain experience. When you first start an eWallet account you will have restrictive limits on the amount of funds you can transfer. However, through the eWallet website you will be able to verify you address and bank account in order to increase these transaction limits to more appropriate levels. Please note that it is possible to verify a credit card to further increase your transaction limits, however Sports Arbitrage Australia does not recommend the mixing of credit cards and gambling – for some it can be dangerous territory. There are many arb-finding alert services in the market, and all have their own pros and cons. 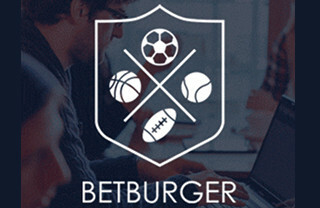 However, only a handful cover Australian bookmakers adequately, and the alert service favoured by Sports Arbitrage Australia is the real-time BetOnValue for various reasons – read the lesson on alert services for more information. What’s great for arbers just starting out and still paper-trading is that BetOnValue provides a free version of their arb-finding alert service which is identical to the paid version, just delayed by 20 minutes. This free version is called BetBrain. For ‘real-money’ arbers this 20 minute delay is undesirable, but for those still in the paper-trading stage and learning the basics this free service is perfect. Learning on BetBrain allows you to get comfortable with the whole arbitrage process before any money is put down, and it also means that as soon as you are ready to buy a real-time BetOnValue subscription you don’t have to learn a whole new website and layout. 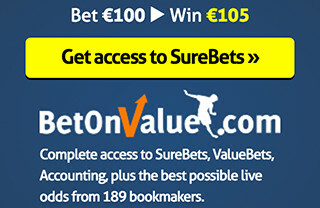 We suggest you setup just two or three bookmaker accounts to start with. 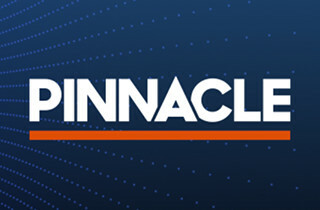 Pinnacle Sports and Betfair are a MUST. The other(s) can be any of the Australian bookmakers – read the lesson on bookmakers for more information. When setting up new bookmaker accounts, be sure to search the internet for the absolute best sign-up bonus available (no one website has all the best bonuses, and they change frequently anyway so always best to search again before registering a new account). Take careful note of the bonus conditions so that you can make the most out of it – read the lesson on bonus scalping for more information. Initial setup deposit: deposit enough to obtain the maximum available bonus and no more. Pocket the bonus, arb through your deposit and your bonus bet(s) – read our lesson on bonus scalping for details of extracting maximum value from bonus bets. 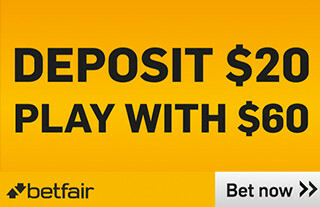 Small withdrawal: if there are funds in your bookmaker account (likely) after your initial deposit and bonus have been bet through, then you should make a small withdrawal ($300 or less is fine) from your bookmaker account back into your eWallet. Adjust the settings in your alert service to only alert you of arbs involving the bookmakers you have funded accounts with – any alerts to arbs that you can’t physically take are a waste of your time and efforts. As you progress, you can setup and fund additional Australian bookmaker, one at a time, according to your activity and limits within existing bookmaker accounts. 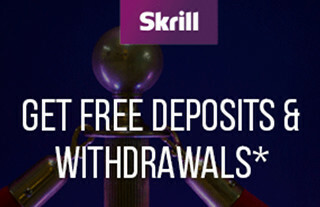 Assuming you have registered with Skrill Moneybookers, once you have deposited more than $2,500 (€2,000 equivalent) from your eWallet account to your bookmaker accounts, you should contact Skrill Moneybookers and ask for an upgrade to VIP status. Skrill VIP’s have many benefits, not least of which are no transaction limits and heavily reduced transaction costs. When your arb-finding service alerts you to an arb, meticulously investigate the arb ensuring the odds are real, the lines exist, and that placing the suggested bets will cover all possible outcomes of the match. If everything looks good then go ahead and place the bets at both bookmakers. BE SURE NOT TO RUSH so as to avoid making mistakes, but also don’t dawdle because the odds can move and the arb can disappear at any time. When placing the bets make sure to place the riskiest leg first, then the safest leg second – read the lesson on placing bets for more information. As you are gradually limited at bookmakers, and open new bookmaker accounts, you will be continuously going through the above cycle, one bookmaker at a time. All the while adjusting your techniques, improving your speed and accuracy, reducing mistakes, and continually learning. One option is to look for new reliable bookmakers offshore – read our lessons in the ‘post-arbitrage advice’ section for more information. There are well over 100 reliable offshore sports bookmakers and therefore substantial profit to be made there, but this comes with additional risks, including using a non-AUD currency and using bookmakers that are not licenced in Australia. You need to do substantial research before heading offshore – refer to our links page for some good websites to start researching. There are a few other options for turning your arbing into a long-term experience, as explained in the lessons in the “post-arbitrage advice” section of this website.